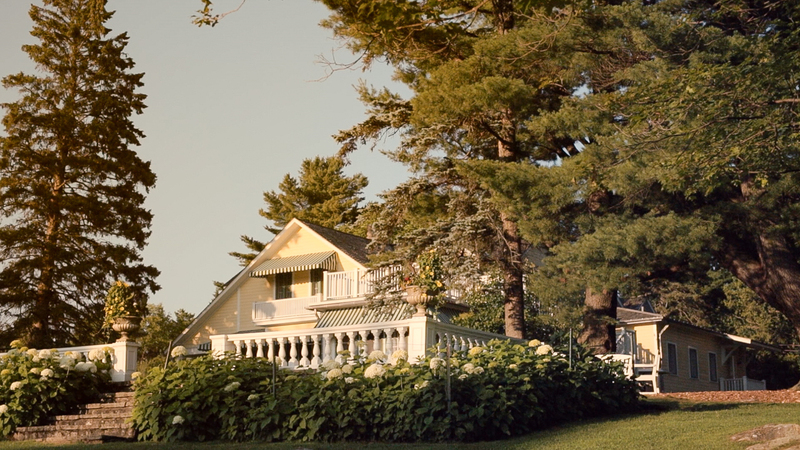 At the Mackenzie King Estate, the one-time summer home of former prime minister William Lyon Mackenzie King, the early evening air in mid-July was buzzing with more than mosquitoes (although there were also plenty of those). On a recent July evening, the wooded paths and green lawns were ringing with the sounds of power drills, bells and chatter, as a small piece of Yukon came to this site in Quebec’s Gatineau Park, about half an hour north of Ottawa. It was the last night of preparations for Whitehorse’s Ramshackle Theatre before three nights of performances of Theatre in the Bush, as part of the National Arts Centre’s Canada Scene festival. Three people were hanging up a Theatre in the Bush sign. From a cluster of trees near King’s home came the discordant twang of guitar strings. Beneath an old stone arch—one of many architectural fragments King collected and installed on his property as picturesque “ruins”—multidisciplinary artist Michel Gignac was sorting through a collection of seemingly unrelated items, including a garden hose, a bucket, scrap wood and a vintage birdcage. In the distance, a few humans were barking like dogs. Or were those real dogs? However, there were no chairs, no box office, no curtains and no dressing rooms. Clearly, this wasn’t going to be a typical play. And it did, indeed, feel a lot like a bush party. Occasionally, bursts of laughter would erupt from among the trees. 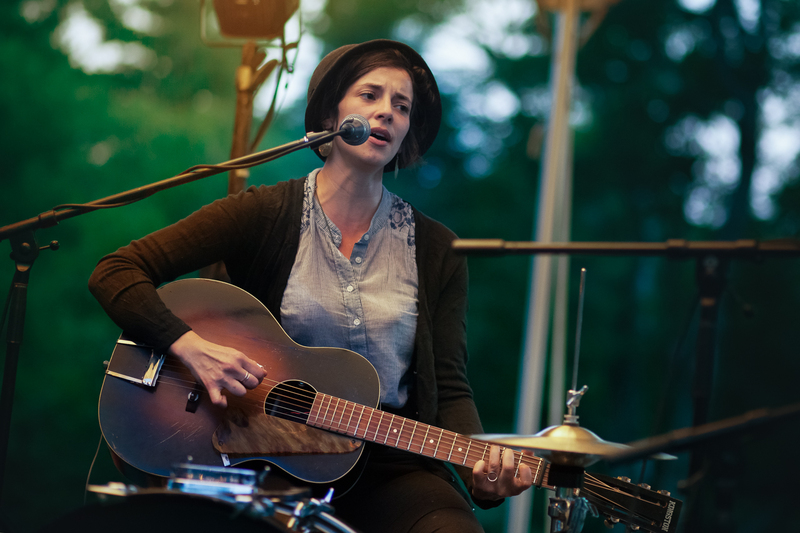 Under a white tent on the lawn, Yukon musicians Brigitte Desjardins and Ryan McNally played blues-tinged tunes on guitar, violin, washboard and other instruments. Fidler explained that the “show” would actually be seven 10-minute interactions with theatre members scattered across the property. 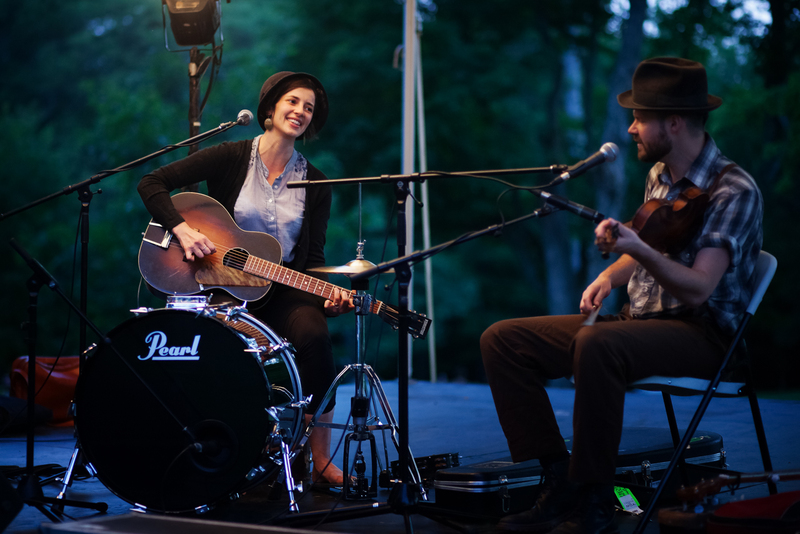 Park staffers would guide small groups of audience members from site to site, where they might sit and watch a performance —or find themselves making hors d’oeuvres, playing music or learning about soap. Definitely not a typical play. As darkness fell, a group called Mobius Collective North presented Theatre in the Bush’s closest thing to a dress rehearsal. A few theatre members, volunteers and media settled down on benches as collective member Nate Wood played a haunting composition on harmonica, amplified and tweaked with a guitar effects system. It was like a musical distillation of a wilderness lake at dusk. On a screen, Barb Hinton projected abstract light compositions that evoked the sun, moon and other celestial objects. 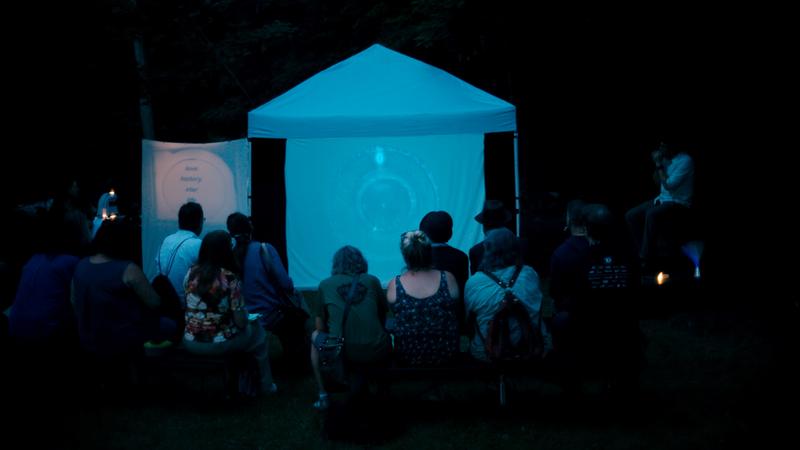 Nearby, Jocylyn McDowell projected a poem on a separate screen, a few words at a time. 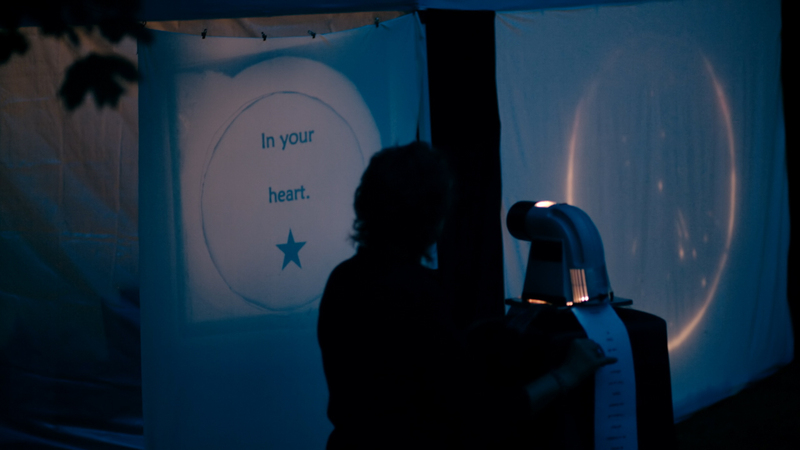 Sound, light and text combined seemed to cast a spell over the audience. As the last harmonica notes faded away, I saw at least a few people blinking as they seemed to return to the real world from another place entirely. That much was clear on the night before opening, as people darted about carrying boxes of clay, strings of lights and containers of berries. Yes, berries. As at any good bush party, this one would include food, courtesy of Whitehorse culinary author Michele Genest. Her installation, Forage, would encourage audience members to create snacks from ingredients such as juniper berries and elk sausage, then share their creation with another audience member while discussing their feelings about food. Eventually, the evening wound to a close. 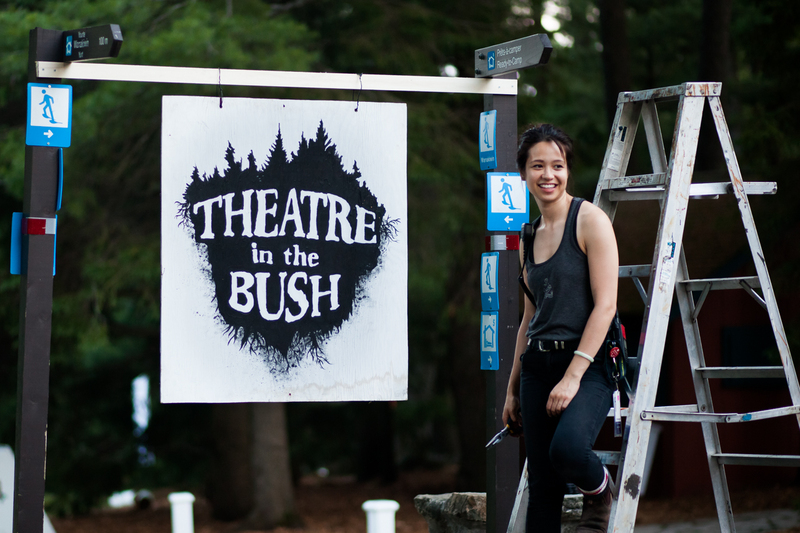 Theatre in the Bush clearly had all the elements of a memorable party: food, music and a lot of fascinating people. The next night’s performance would be about as close as Ottawans could get to a Yukon celebration without hopping on a plane to Whitehorse. For more information on the Ramshackle Theatre and upcoming performances, click here. Check out Travel Yukon to plan your visit to the Yukon. This post was sponsored by the Government of Yukon, which did not review or approve the article.